In the early 1980s, while serving as the deputy director of the National Center for Atmospheric Research (NCAR) Climate and Global Dynamics Division, Robert Dickinson found that the computer models the agency was using to study and predict the Earth’s climate had some serious issues. The model was treating the landmass of the planet like a big sponge, acting only as a storage spot for water. It was an unrealistic treatment for a complex surface covered in soils and vegetation, and it led to some improbable predictions. So Dickinson set out to fix it. His work led to a complete revamping of how the climate modeling community integrates land-surface processes into models, with Dickinson being the first scientist to account for the influence of vegetation on the climate system in climate models. Bringing the biosphere into climate modeling wasn’t the only time research spearheaded by Dickinson would lead to big improvements in global climate models. In the early 1970s, when he was just starting as a scientist at NCAR, he discovered that planetary waves — a type of atmospheric disturbance that can impact wind and temperature — could transfer energy to larger atmospheric systems that circulate around the planet. “I found climate a fascinating issue and continued to learn about it, including the use of large computational models,” Dickinson said. Dickinson’s contributions to climate science have led to drastic improvements to climate models, with the global impact of his research receiving international recognition. By the time he joined the Jackson School as a professor in 2008, he could count himself as one of the very few members of both the National Academies of Sciences and Engineering, as well as a foreign member of the Chinese Academy of Sciences and an honorary member of the European Geosciences Union. Jackson School Professor Zong-Liang Yang, who first met Dickinson in 1991 as a graduate student, said Dickinson’s accomplishments hinge on how he refines his scientific expertise to match the topic at hand. Dickinson’s work has earned him the top awards in climate science, including the Rossby Award, the highest honor bestowed by the American Meteorological Society, and the American Geophysical Union’s Roger Revelle Medal, which recognizes sustained and superior contributions to climate science. His contributions to the fourth assessment report of the United Nations Intergovernmental Panel on Climate Change (IPCC) — the most detailed study of climate change ever undertaken — earned him and the rest of the report co-authors the 2007 Nobel Peace Prize, which was shared with former U.S. Vice President Al Gore. Now, after more than 50 years working to improve scientists’ understanding of the climate system and the computer models that seek to emulate it, Dickinson has retired from full-time climate science. This summer he left Austin for Los Angeles, where he will keep an office in the Atmospheric & Oceanic Sciences (AOS) Department at the University of California, Los Angeles. Before Dickinson went west, Yang organized a two-day research symposium in May to honor Dickinson’s career achievements and discuss the trajectory of climate change research going forward. More than 80 scientists, many of them former students and numerous well-known experts, attended the symposium, with an especially strong showing of scientists from China, where Yang said that Dickinson’s climate change research has become especially relevant as the country is taking concrete measures to curb its large greenhouse gas emissions. 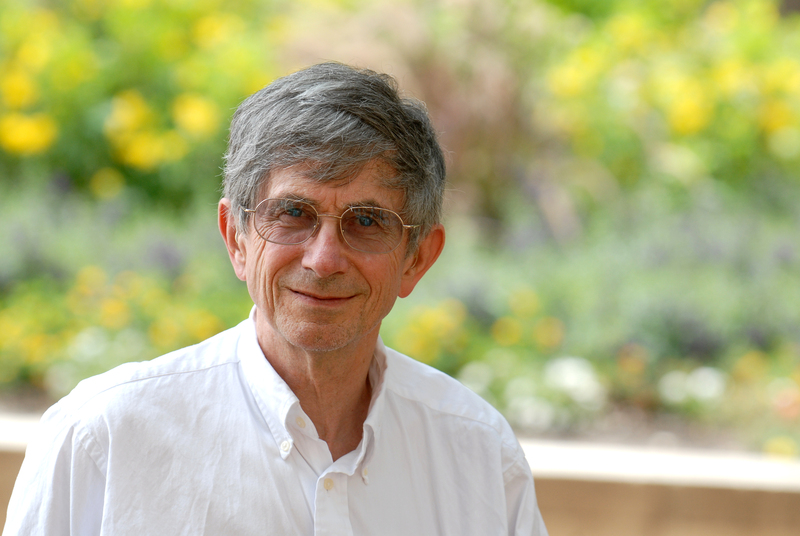 Dickinson credits his interest in global climate science — and climate change in particular — to the late Steven Schneider, a pivotal figure in raising climate change awareness among the scientific community. They met when Schneider joined Dickinson’s research team at NCAR as a postdoctoral researcher. In 1974, the two authored an influential paper simply titled “Climate Modeling” that detailed the need for developing accurate climate models, what those models should include, and the importance of figuring out how humans could sway the climate system. the role of land processes on climate change. The report echoes many of the key points that he and Schneider described 33 years earlier — except now the evidence for human-induced climate change was overwhelming. While at the Jackson School, Dickinson advised or mentored, in some capacity, every student who studied climate, according to Yang. His students have gone on to become leaders in the field of climate research in their own right, taking positions as researchers at top research institutions, such as NASA’s Jet Propulsion Laboratory, and faculty at top research universities. Dickinson was so well known in his field, students would come from around the world to study with him, Yang said. But ever the careful mentor, Dickinson, even in the later years of his career, was known to spend time carefully reviewing students’ source code to confirm that the directions underlying a model made sense. Dickinson said that spending the years collaborating with students and colleagues should be counted among the top highlights of his career in climate science. “For me, another direction of highlights is all the wonderful people I collaborated with or otherwise interacted with, ranging from students to postdocs to early career scientists to those more senior than I was at the time,” he said. Dickinson’s retirement plans continue training the next generation of climate scientists to conduct research that has implications for every person on the planet.